Love bamboo? 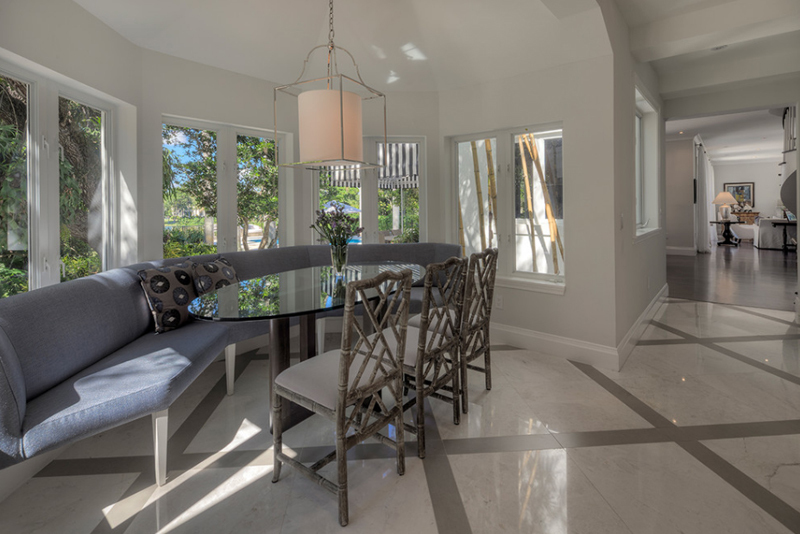 Take a look at these dining room chairs! Bamboo may be one of the most popular kinds of plant that you can do a lot of things with – especially in terms of furniture design and even for interior decoration purposes. With proper handling and workmanship, a lot of beautiful things could be done with bamboo. One of these things that we are talking about are dining room chairs, and that is what we would be showing you today. Below are 20 Adorable Dining Rooms with Bamboo Chairs; if I am not mistaken, for people who cater events, this chair design is called Tiffany chairs. Of course, when we talk about Tiffany, we usually remember the beautiful lamps that were first popularized by Louis C. Tiffany; but this is another thing that I think you would really like. Take a look at these designs below and tell us what you think! 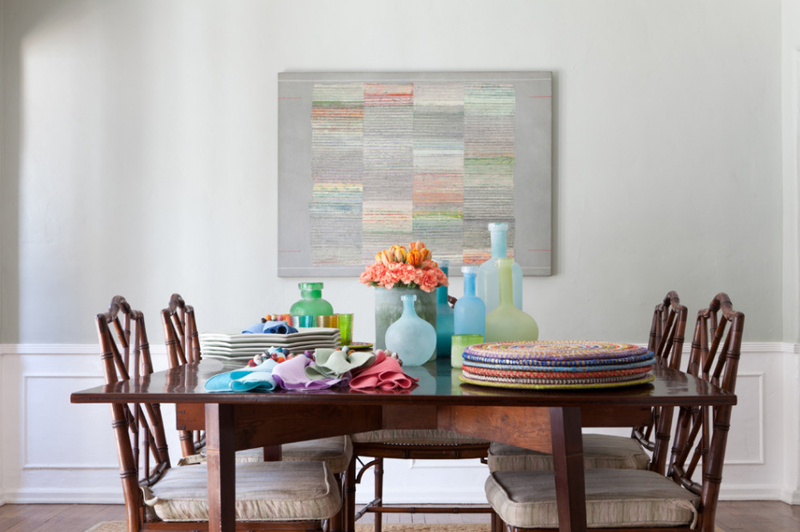 Let us begin this list with a beautiful dining room from Katie Rosenfield! A traditional dining space adorned with beautiful things to match with the stunning bamboo chaired paired with the stunning dark wood table. 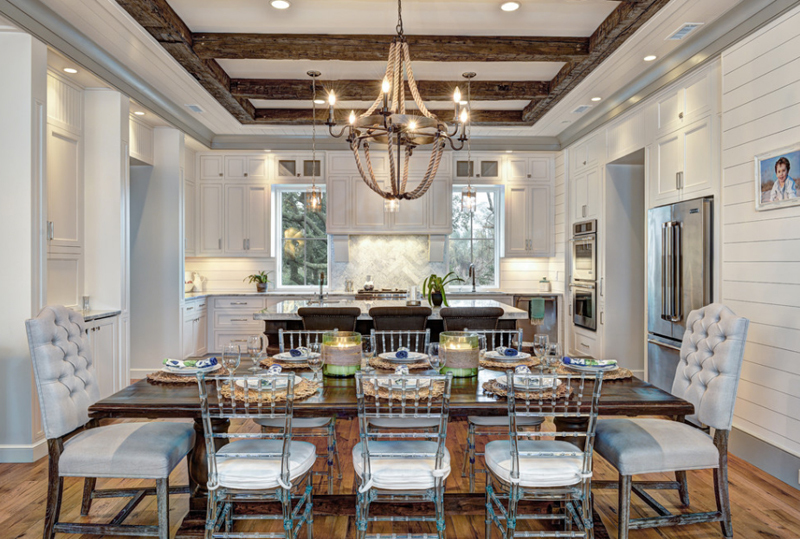 The small chandelier in the middle of the room holds the entire space together to bring a more classy traditional space. 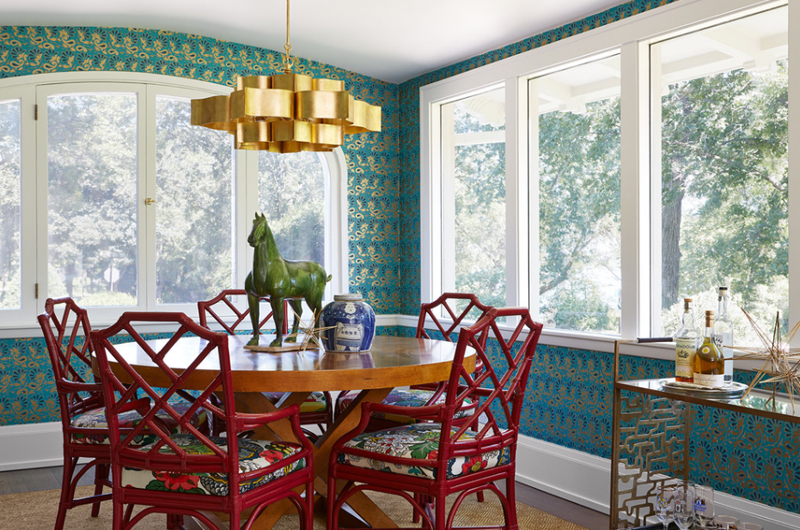 The stunning bamboo chairs paired with the wooden table looks stunning – for one thing, it’s not every day that we see red bamboo chairs – of course, these are painted chairs, but then again, red as a choice for bamboo chairs is not something one would think of at first unless they have dining spaces as fabulous as this one! Well, what do you think about having a stunning curved dining room bench with cushion for your home? Seeing this photo might actually inspire you to really consider it for your house so that you wouldn’t really have to purchase more single chairs for the dining table. If you think subtle colors like this one rocks, I couldn’t agree more! The white color of the bamboo chairs may be a bit too white, but it actually looks really clean and nice! 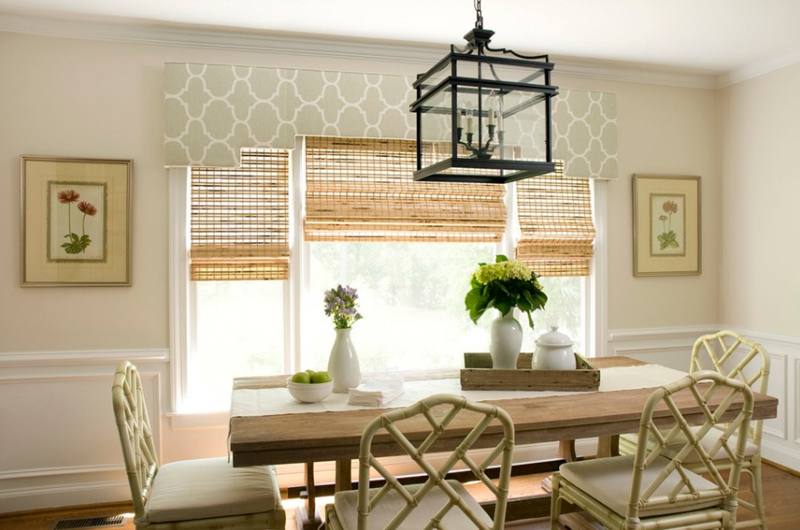 Its whiteness match well with the other colors inside this dining room. Unaware, we see how white match with any color but look at how it pair well with light blue! Beach themed color combinations works its magic just like that. 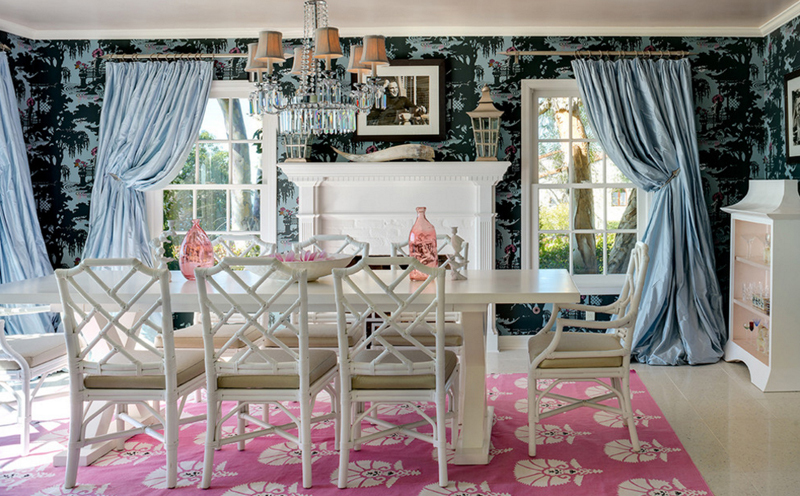 Notice that the chairs in this dining room sure looks bigger than most of the chairs in this list. Design-wise, we know that the chair designs in this list is quite common and similar to one another. 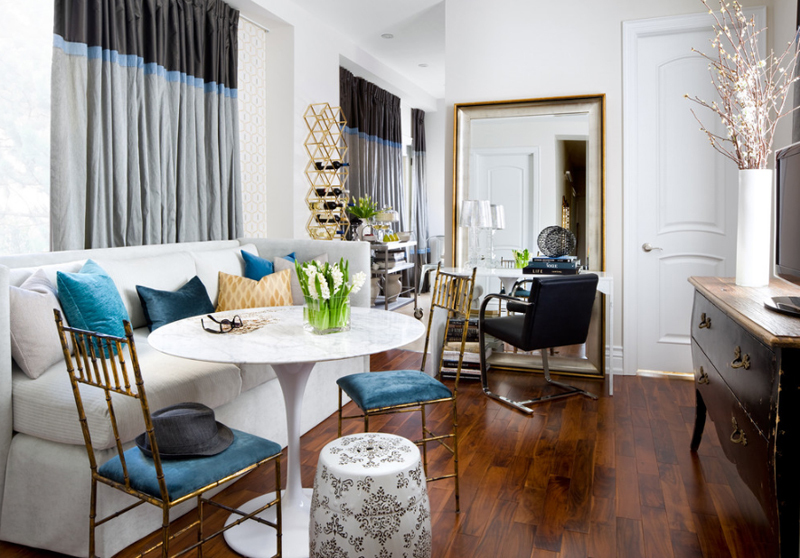 How do you like the color combination for this dining room though? I think it looks really great and perfect for any occasion. 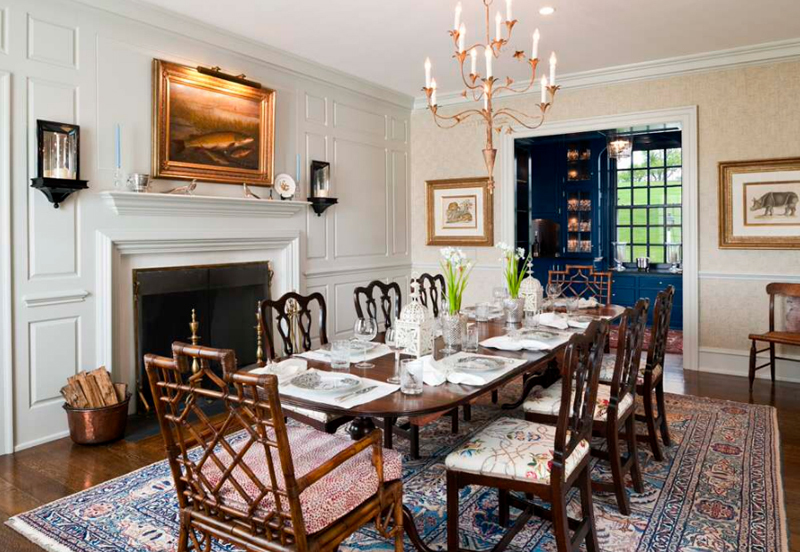 Plan a dinner or a party, and this dining room could surely deliver. The carpet of this dining room sure complement with the entire space – for a moment, I feel like this is a princess-themed dining space! And if you actually inspect the space, you’d see that the wallpaper, the drapes, the dining set and even the white buffet plus the fireplace completes the theme! This is probably one of the most charming spaces in this list – take a look at how nice everything is inside this space. The dining set (which I do not think is exactly a set, the drapes, the large mirror by the door, a wine rack on the side and a vintage buffet on the right – just perfect! The bamboo chairs that I am referring to in this list are the ghost chairs that have the details of a bamboo chair. Did you notice that it was a ghost chair at first look? 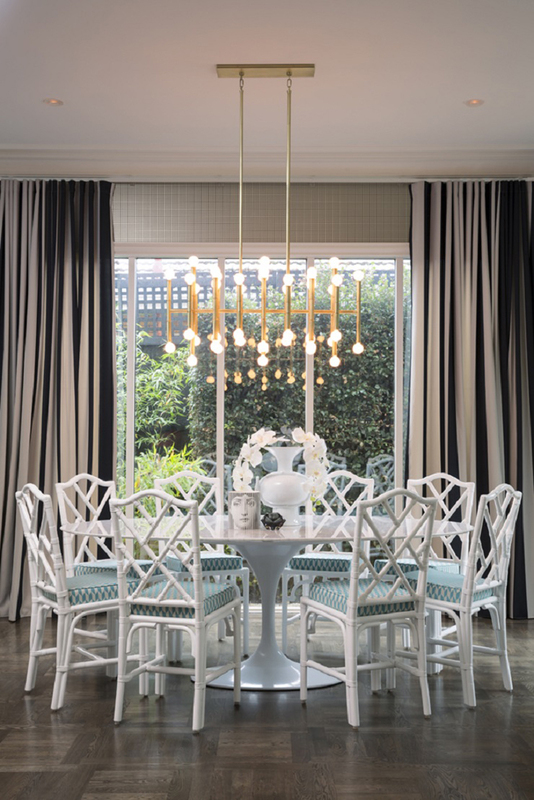 It complements with the dark wood table and the large chairs at the ends of the table and symmetry evident in the space – this dining room is fabulous! 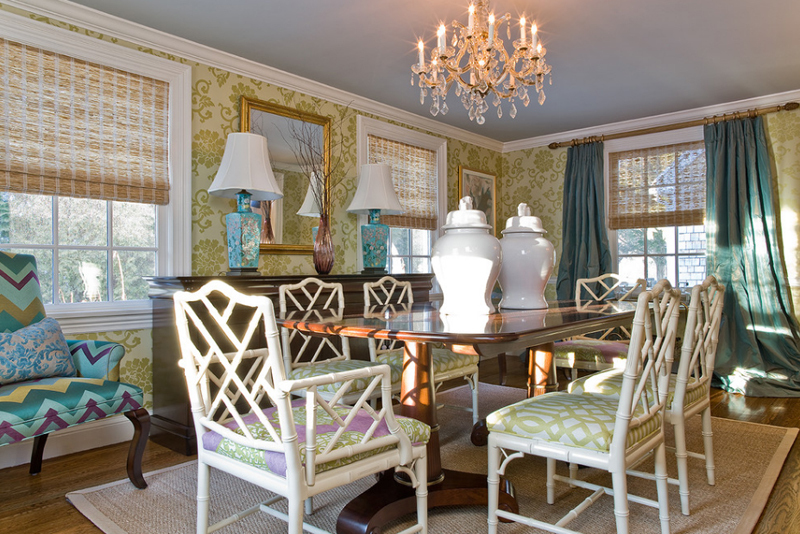 This traditional dining room sure showcase a beautiful dining room set that seats eight people. The color of the bamboo looks wonderful and the detail is more intricate than most of the chairs on the list. If you see clearly, it’s just the ends of the table that has bamboo chairs while the other six are of a different style. 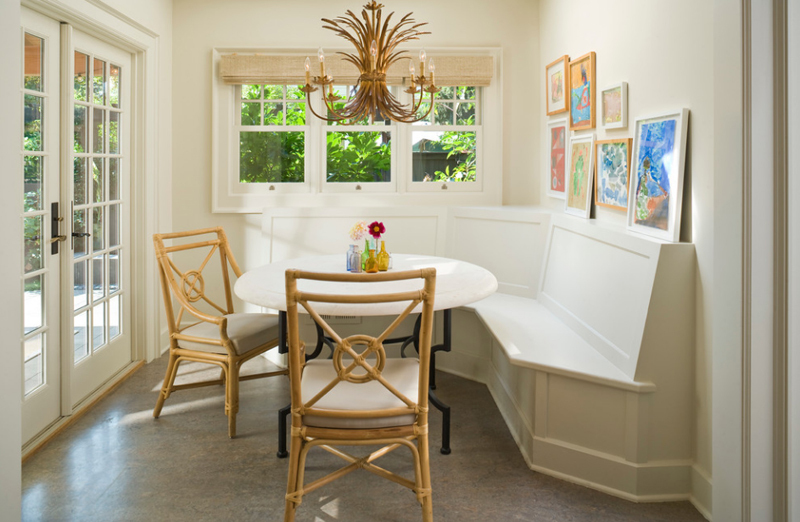 A square-shaped dining table may be one of the most stunning tables there is; when you think about it, it sure is ordinary, but it can seat a number of people depending on the size, but it seems to covers a smaller space than that of a rectangular table. Maybe it’s just me, but I think that this is true. This dining room looks really incredible; because of the shape and design of the interiors, it seems safe to say that it has a hint of symmetry in it – but more so on balance and harmony with the entire room. The dining room set looks real sweet and even charming, and the window treatment and the decors on the wall is on point; even the chandelier is! When I saw the color and design of these bamboo themed chairs, I was definitely in love! Like totally! The color is everything and even when the design of the chair is basic or simple, I still think that is super! The design of the chandelier is just fascinating, I want it for myself! The dark pink color of these bamboo chairs are really nice; it somehow match well with the color of the walls and I think it’s really fantastic! What do you think about the reds, blue greens and golds here? 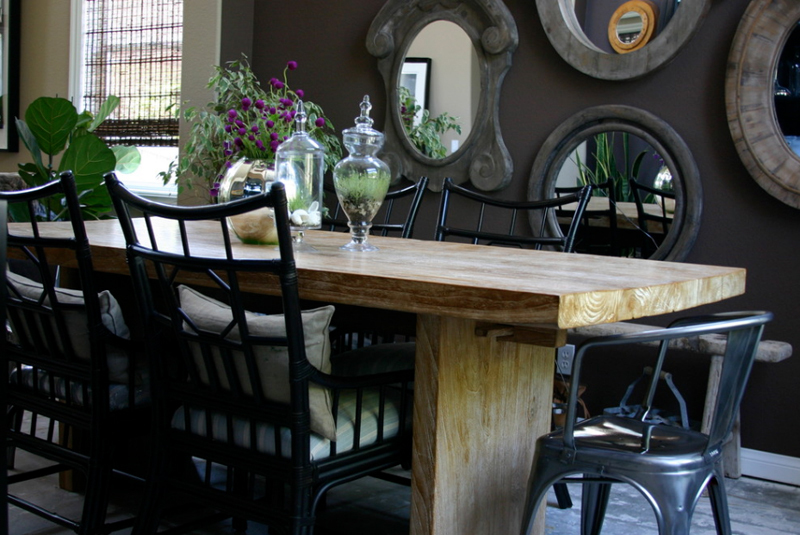 Here is one dining room set combo that has bamboo-styled chairs along with a bench paired with the wooden table. Look around the house and notice that we have a lot of wood in here which makes it really pretty and very homey. 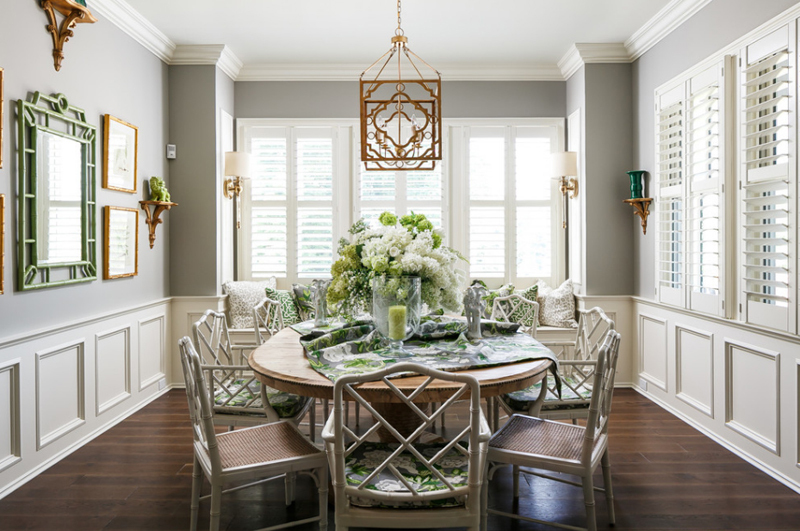 The design of the chairs in this dining room set is pretty common with a couple of the ones in this list – it usually is the color of the wood or that of the cushion that makes a lot of difference. 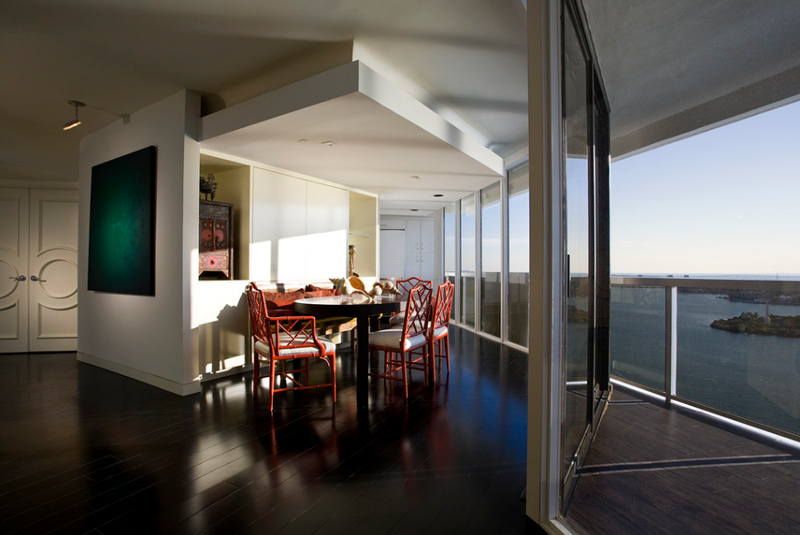 Check out the way that this dining room opens to the patio – view could actually be everything at this point. 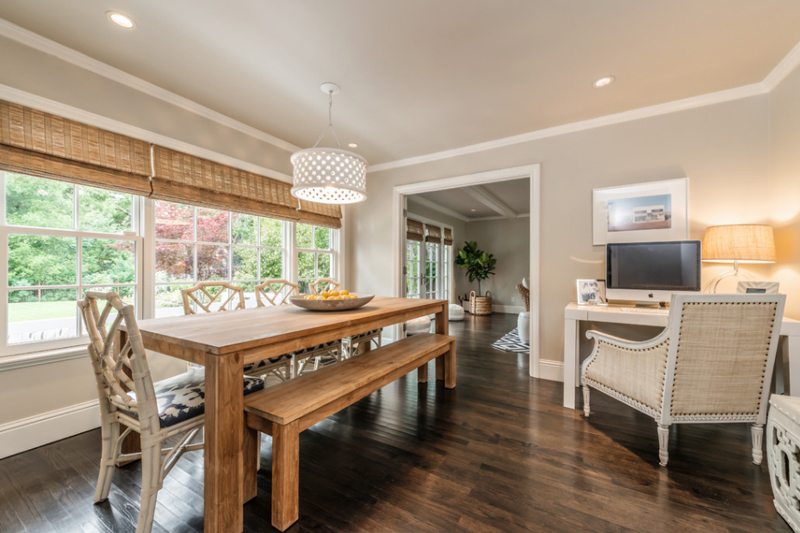 What’s nice with this dining room is the wooden sectional that seats a couple of people which means being able to maximize the available space and still being able to create an awesome dining experience everytime you are in the space. As much the window impresses me, this mode of keeping your drapes underneath some other panel makes me wonder how to actually maintain it, but because of technology, this should be easy, I guess. 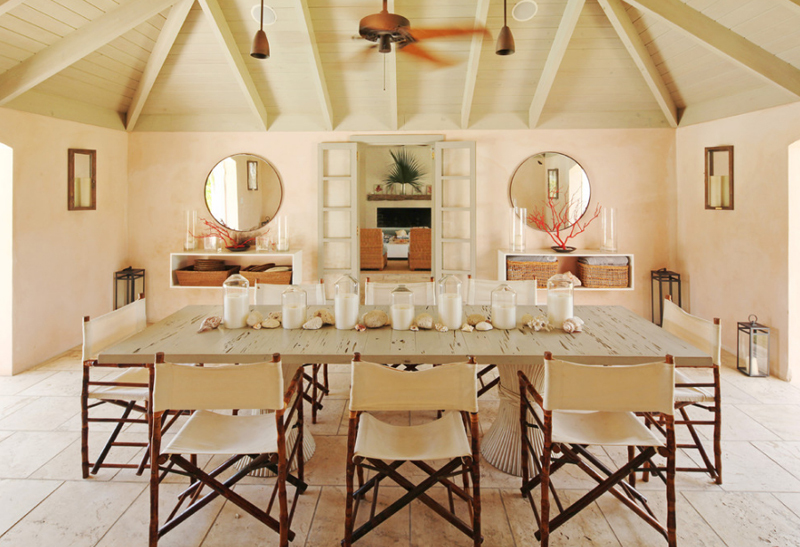 The bamboo chairs in this dining room has this subtle color that match with the raw table. 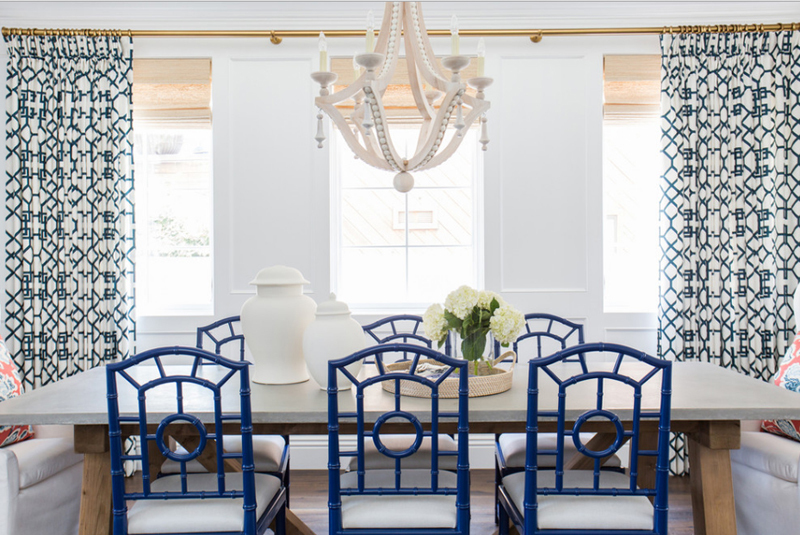 This close up photo of the table and chairs for this dining room sort of is not so ideal for this list because it would have been nicer if we saw the entire dining room, but since we are able to clearly see the bamboo chairs, I think we’re good to go – details are everything! The design of the chairs in this dining space is more reminiscent of what directors for movies usually have, or sometimes, this is what artists have in their dressing rooms too; these chairs usually have their names on the back which sure is cute – but then, this is in a more modern set up, and in the house, so, white would do! If you think about it, large homes like this one prefer using more contemporary or modern furniture than ‘bamboo’ styled pieces, but then again, bamboo is so versatile and pretty, sometimes, it’s actually the first choice. 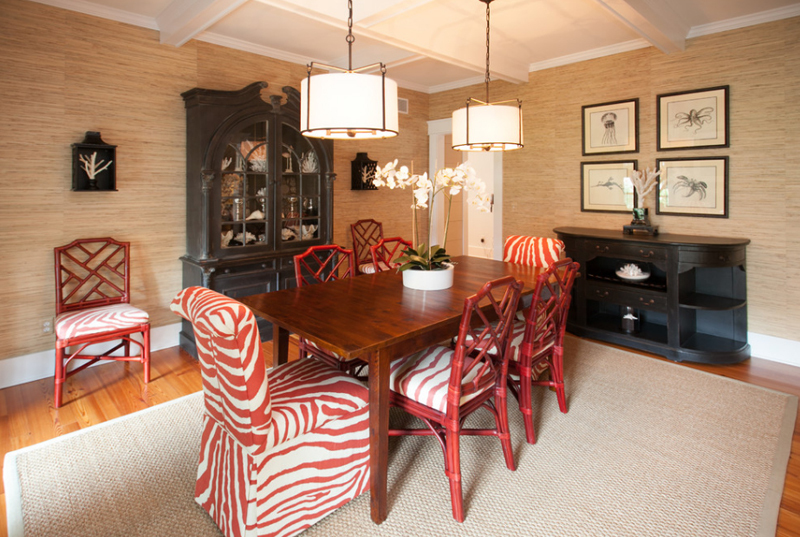 In this dining room, we see a red bamboo-style dining chairs and I think it totally rocks this space! For the most part, I know that the designs of these chairs didn’t really vary as much, but you should know that they sure show how much prettier one dining set could be because of how pretty these chairs actually are. Truth be told, at one glance, if given the option to, I think I’d really love to have this type of chair for our dining room; and if you’re actually interested, you should check out the 20 Pleasant Bamboo-Themed Living Rooms and see what bamboo type of decoration or furniture you can add to your homes!